A clean and healthy working environment are essential to maintain a happy and productive staff. 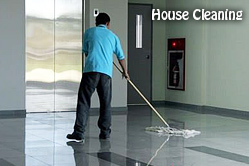 Our office cleaning services will ensure a healthy and clean working environment for your work place. After all, work can be stressful enough without having to attend to cleaning on top. Our office cleaning service staff can come to your offices any day of the week, including weekends and evenings so we are sure to fit in to your busy working schedule. Our staff currently clean hundreds of Melbourne based businesses every week. Please have a look at our office cleaning prices now or simply call one of our knowledgeable office staff. So why delay when a cleaner and healthier working environment is just a phone call away. Give us a call on 03 8652 1022 or Get Online Office Cleaning Now and be sure in the fact that your staff will be happier and more productive.